It’s Josh Schoenly, and I wanna talk about what I believe is the absolute biggest opportunity in your real estate business, in my real estate business right now. It’s an opportunity that I am chasing after hard and fast, and an opportunity that is one that is … you can leverage quickly, easily, and very affordably. It’s the opportunity that comes with the ability to retarget or remarket. To do so, in a way … well, let me say it this way. Let me ask it in a question. Do you think you could sell more homes if virtually 100% of the people in your target area, in your farm area, let’s say? If virtually 100% of those people who were thinking about buying or selling real estate, knew about about you and your brand, and knew that you could help them? Could you sell more homes in that scenario? And the answer is pretty obvious, right? It was kind of a rhetorical question. Not only just possible, it’s easier, faster, and more effective than it ever has been. It’s the ability to call back people who have engaged with a piece of content, or have done something to indicate interest in what you’re offering. You’ve probably seen it in action many times, right? Where you go to Amazon and you’re looking at something on there, I don’t know. You’re looking for some vitamins or something. You get distracted or you change your mind, you go off on your merry way. Then, you go back to Facebook, or you start searching the web, and all of a sudden, you see the same vitamins that you were looking for on Amazon in an advertisement. Well, we can do that in our real estate businesses. It’s something that I’m doing right now in my real estate business. It’s something that you can do for as little as $3 to $5 a day, and very quickly create a celebrity status, a scenario where literally everyone in your market who is thinking about, or interested in real estate, knows who you are, knows that you’re a real estate professional, and knows that you can help them. I boiled it down to three simple steps for you. Here are three simple steps for how you can do this, and kind of give you the big picture. Step one is building the audience. Another way to look at this is kind of laying the foundation. There’s a couple of things that you need to install on your websites or webpages that you’re using. You need to install a Facebook pixel and a Google tag or Google pixel, so that when people start landing on your different pages, or engaging with your content, you’re building that audience. Then, the other thing is, on Facebook there’s actually five different types of audiences that you can build, both custom and saved audiences as well. All of that playing together is sort of that step one of building the audience, laying the foundation. Step two is growing the audience. What kind of content are we going to put out on those platforms that is going to get those people that are interested in real estate to raise their hands. I’ve been testing a whole bunch of different content that you can use to grow that audience. Some of it is super, super, super easy. It’s not technical in any way, shape, or form. Some of it requires a little bit work than others. Some of it, what you choose to use, is going to come down to your personality and so forth. I’ve gotten a number of different examples of those things, there are blog posts, content that lives right on Facebook, video, etc. I’ve been playing with a bunch of them to grow my audience. So step one is build the audience, or build the foundation, lay the foundation. Step two is growing the audience. Step three is conversing, getting into conversation with the audience. Once those most motivated interested parties have raised their hand, indicated an interest, what and how do we communicate with them to call them back? In my Amazon scenario, this is the ad that follows you around the web. So what and how are we going to put those messages in front of those people, such that when their motivation hits a tipping point, they’re going to reach out to you, or to me. Those kinds of messages are what you can see and have happen for you. So if this is making sense let me know in the comments. Do me a favor, and hit that like button as well if you’re enjoying this. Obviously, on a video like this, I can’t show you everything, I can’t break it down, I can’t give you examples, etc. But, what I’ve decided to do is, I’ve put together, or I’m in the process of putting together, a live four week bootcamp, and I’m calling it Retargeting Riches. It’s a kind of a play on real estate, because RE, right, retargeting real estate, retargeting riches. What we’re going to do over the four week span is walk you through this process, and at the end of the four weeks, you are going to have a machine in place for you for a very minimal budget, to make this situation, this scenario that I’ve described, a reality for you. Where the most interested people in your target market are going to know, like, and trust you. They’re going to know your real estate brand. They’re going to know you are a real estate professional. Then, they’re going to know that you can help them. So what we’re going to do in week one is, we’re going to lay that foundation. We’re going to show you what you need to install. We’re going to show you how to create the different audiences. There’s actually five different types of audiences that we’re going to create on Facebook for you to leverage. There’s a couple on Google that we’re going to create for you to leverage as well. Then, we’re going to start thinking about the content plan and how we can leverage free strategies to build that audience for you. In week two we’re really going to dive into growing the audience, and creating the plan, the weekly and daily action plan of what you’re going to do in 15 to 30 minutes a day, five days a week. So we’re not talking about hours and hours a day. Creating your plan of attack for growing that audience, so that in week three we can really dive into and give you examples of the types of campaigns. Specifically, we’re going to build out, at a minimum, two types of campaigns. We’re going to build out an Evergreen campaign that is going to be a thank you or welcome sort of campaign, that all of the new people into your audience are going to see. Then, we’re going unpack and show you examples of end to end campaigns, where we take someone from not having any idea who you are, and maybe not even initially having an interest in real estate, to they’re interested, they’re in my audience, and now I’m building the authority with them. I’m positioning myself and my brand, so that when they hit that tipping point, they connect with me. Then, finally, in week four, we’re going to do troubleshooting. We’re going to create a long term vision. We’re going to dig in to more examples, etc. Then, how to leverage all of that in a very formulaic fashion. If that is something that you’re interested in, if this bootcamp is something that you’re interested in, well, then you’re in luck, because here’s how you can get access to it. We’re going to make this four week bootcamp FREE for our pro members. We’re going to make it free for our pro members, so if you’re interested in going through this four week bootcamp, all you have to do is sign up for our pro membership. It gets better, because for a limited time, as part of the launch of this four week bootcamp, we’re actually discounting, we’re cutting our pro membership price in half for those of you who are interested. If you’re already a pro member, you’re in luck. You’re going to get the bootcamp as part of your member benefits. But, if you’re not, there should be a link below this, or depending on when you’re seeing this, it might be in the comments. If it’s not there yet, you can shoot me a message, or you can email support@clientalchemist.com, and we can be sure to hook you up as well. Regardless of whether you get our help in implementing this three step process of building the audience, laying the foundation, growing the audience, and then conversing, getting into conversation with that audience. One way, shape, or form, you have got to grab hold of this opportunity, because it is literally one like I have never seen, have never seen. I’ve been doing this kind of stuff for 11, 12, 15 years almost, and this is the greatest opportunity that I have seen. It’s one of the main reasons why I’ve jumped back in the arena myself. I just recently reactivated my license, and this is a big reason why, so that I can implement these strategies for myself, building my own personal brand in my target area, in my farm. It’s already working like gangbusters. In fact, later today I have a listing appointment. It’s not something where I’m going and it’s a competitive situation. I’m going to take the listing, right? I’ve already … because of these things that I’ve described to you, and the things that we’re going to walk through in the four week bootcamp, it’s working for me. So this isn’t theory, this isn’t fluff, this isn’t hypothetical. This is working right here, right now. If you want help, we’d love to help you. I would love to work with you in this four week bootcamp. All you have to do is get signed up as a pro member. The great news is, you can do so at a discount for a limited time. We’ll get the link in the comments once it’s ready. If it’s not there yet and you’re interested, just shoot me a private message, email support@clientalchemist.com, whatever the case may be. Depending on where you’re watching this, there might even be a link to it below this video as well. So thanks for checking this out. If you know someone else that this might be helpful for, please share this with them as well. If you found this valuable, let me know that as well. One way or another, implement … find a way to implement that three step process. I’d love to work with you, and hopefully we’ll talk real soon either way. 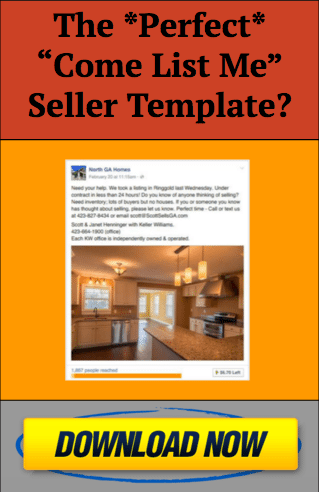 ← How To Use Surveys To Generate MOTIVATED SELLERS In Your Real Estate Market!